What Are the Best Dog Carriers for Pugs? There is a common misconception that pugs are often lazy. Or, that they spend most of their time sleeping. If you’re a pug owner, you know that’s not true, and they’re just as active as any other breed. In fact, some of the most common characteristics of pugs are playfulness, cleverness, and curiosity. While they can be docile animals overall, it doesn’t mean they aren’t intelligent and looking for ways to play. That makes selecting the top dog carrier for a pug even more critical. As an owner, it’s natural to want to take your four-legged friend with you on your travels. The breed ranges from 14 to 18 pounds. Males only grow to be about a foot tall, while females typically grow to ten inches. They are a perfect size for traveling comfortably, with the right carrier. What do you need to know when looking for a travel carrier for a pug? We’ll cover some of the essentials. The type of carrier you choose should be based on your lifestyle and the needs of your dog. Their safety and comfort are two of the most important factors to consider. 2.1 What Are the Best Dog Carriers for Pugs? Most people want to know more about dog carriers because they’ll be traveling and want their pugs to come with them. But, the type carrier you choose should factor in what type of traveling you plan on doing. Not all carriers are made with the same durability, extra features, and all-important size characteristics. The first thing you should do is decide how you’ll be traveling the most with the carrier. The carrier should be able to fold down to fit underneath the seat. It should have wheels with an extendable handle. This will make it easier to trek through busy airports. It needs to comply with all rules and regulations of individual airlines. If you’re traveling with your pet, be sure to call the airline first to determine what these specific rules are. They are different for many different airline companies. If you’re heading out on a road trip or traveling in an RV, keeping your dog in a carrier ensures they will be safe and not jostled around. It also gives them a place to go to feel secure, like their own little home. The carrier should have enough space for the dog to be able to turn around. If the dog is in the carrier for long periods of time, it should have room for food and water. An internal harness or leash should be included to keep the dog from getting pulled around on bumpy roads. Pugs are considered to be medium-sized dogs. With that in mind, the best place to start in choosing the right carrier for your dog is to select the right size. A carrier should have enough room for your dog to lie down, stand up, move their head around, etc. The dog should be comfortable doing most of its regular activities. A carrier that is too large can be problematic in different ways. Not only is it less likely that you’ll be able to take it on public transportation, or a plane, but it can be dangerous for your dog. They may get jostled around. Additionally, if there is too much space, your pug may be more likely to relieve themselves in the carrier. The other major factor to consider in purchasing a carrier is its safety. Durability and stability are vital. Will it be difficult for my pet to escape? Does it have an interior leash clip to keep them in place? Is there enough ventilation for them to breathe easily? Beyond size and safety, many of the extra features included in dog carriers for pugs are preferential. Again, many of them should be dependent on what type of travel you plan on doing with your pet. Below you’ll find two of the best available dog carriers for pugs. They are designed for medium-sized dogs. They are suitable for travel of almost any kind, including air travel. Safety is also a huge factor in what makes these carriers the best. Take a look at some of the extra features each carrier offers. 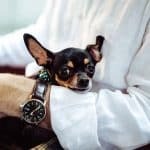 You know your dog better than anyone, so when it comes to those extras, it’s up to you to determine which bag you think will work out the best for your pet. The great thing about the Sherpa Original Deluxe Pet Carrier is that it’s designed for almost every mode of travel. It’s durable enough to fly with, but can easily be used for a trip to the vet, or even a long car ride. 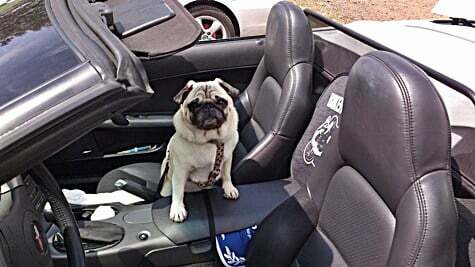 That versatility makes it an excellent investment for traveling with your pug. The medium size is designed to carry pets up to 16 pounds, which is a healthy weight for most pugs. The carrier measures 17” L x 11” W x 10.5” H. While it’s a standard size for a medium character, it’s important to make sure it’s big enough for your pug, personally. If you’re looking for a versatile carrier that’s easy to use, the Sherpa Original Deluxe is a great solution. Though it isn’t waterproof, it is leak-proof. So any accidents your pug may have will stay in the carrier, and the washable liner can be removed easily. With so many additional safety and convenience feature, it’s a great option for pets and owners on the go. Check the Price of the Sherpa Original Deluxe Pet Carrier on Amazon! The Petsfit Expandable Travel Carrier is all about convenience, no matter how you travel. It’s designed to work with most airline regulations, and fold up completely flat when not in use. The expandability means your dog gets extra space when they need it most while remaining safe and secure. 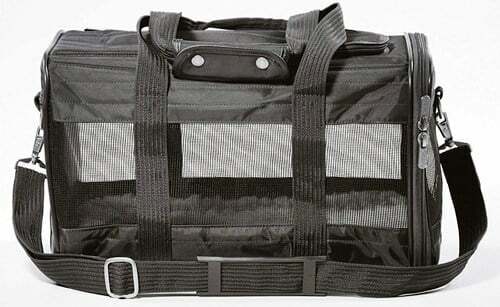 The dimensions of this Petsfit carrier are 19” L x 12” W x 12” H, and it can hold a dog up to 20 pounds. That makes it the perfect size for even larger pugs who need a little extra room. Whether you travel often or infrequently, the Petsfit Expandable Travel Carrier makes taking your pug with you extremely convenient. When you’re not using it, simply fold it away for easy storage. It’s a great solution for almost any type of travel and will keep your dog safe and comfortable no matter what. 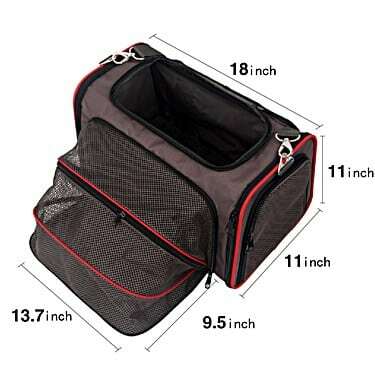 Check the Price of the Petsfit 18"x11"x11" Expandable Foldable Washable Travel Carrier, Not All Airline-Approved Pet Carrier Soft-sided on Amazon! All dogs have different personalities. 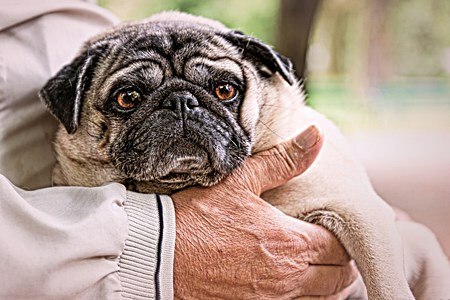 While pugs are naturally playful and may not be as timid as other dogs, it doesn’t mean they will all warm up to the idea of a carrier immediately. Never put your dog in a strange carrier. The first time they use it should not be minutes before you’re ready to travel. To get your dog used to its carrier, let them explore it beforehand. Try leaving it out in the open in your home for a few weeks before you plan on traveling. That way, your dog can go in and out. If your dog is spending several hours in the carrier while you travel, get them used to it as much as possible. Start out by taking short rides in the car with the dog in the carrier. Over time, you can increase the length of the rides. This will help them get used to the carrier and feel comfortable in the space. As long as you choose a dog carrier that is safe and secure, and fits the needs of you and your pug, you’ll both love traveling with each other. Your dog will be happy to be spending time with you, and you’ll like the ability to take them wherever you go easily. 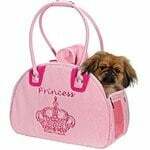 Best Pink Dog Carrier: Our Top Picks for Small Breeds of Pet! What are Good Dog Carriers for Teacup Yorkies?